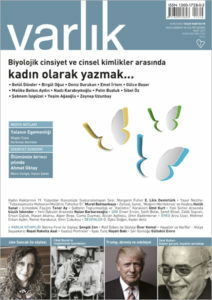 ‘Varlık’ portrays Turkey’s first feminist poet; ‘New Humanist’ discusses racism and identity politics; ‘Passage’ seeks a different Denmark; ‘Glänta’ compares town and country; ‘La Revue nouvelle’ challenges managed immigration; ‘Soundings’ thinks beyond traditional forms of public ownership; ‘Merkur’ salvages the relationship between humans and nature; ‘Esprit’ says no to the mechanization of the world; and ‘Vikerkaar’ looks deeper into thingumajigs. In an issue of Varlık on women writers and writing, Murat Batmankaya portrays the life of poet Yaşar Nezihe and her perseverance in the face of patriarchal oppression, material need and political adversity. Born in 1882 and receiving practically no formal education, she taught herself to read and write through sheer force of will, publishing her first poem at the age of fourteen. Over the course of repeated marital betrayals, unabated poverty and the loss of two sons, Nezihe developed strong socialist and feminist convictions, becoming the first Muslim woman to be photographed unveiled in the Ottoman press and the first woman to write for the journal of the Communist Party of Turkey. Nezihe’s political engagement and outspokenness about her own poverty brought her to the attention of the authorities, who detained her briefly in 1923 for ‘communism’. Her publications around this time earned her a degree of recognition; she appeared in almost every edition of Women’s World, the first magazine devoted to women in Ottoman Turkey. From the mid 1930s, however, she disappeared from sight and published nothing between then and her death in 1971. Eurozine publishes an English translation of this moving portrait of the poet Yaşar Nezihe article to mark International Women’s Day on March 8. 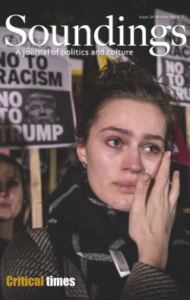 Both the Brexit referendum in the UK and the presidential elections in the US revealed how politically dived western societies have become. Women vs. men, blue-collar vs. white-collar, or city vs. countryside – deep chasms are opening up everywhere. The Danish parliamentary elections in 2015 were little different. 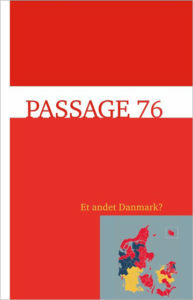 The success of the rightwing populist Danish People’s Party, especially in rural regions, triggered a discussion about Danish values. As opposed to the ‘battle of values’ (værdikampen) fought twenty years ago, the question today is not what to believe or which values to promote and preserve, note the editors of Passage. It is rather whether it makes sense to talk about a coherent ‘we’ at all. 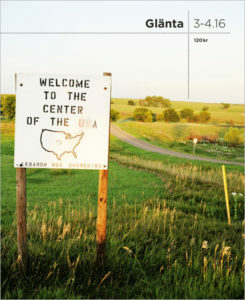 Glänta focuses on what the editors call the ‘tensions between city and countryside, centre and periphery’. Suddenly, they argue, rural life has taken centre stage; that is where things are happening now, things that ‘are deciding the future of the world’. The Riace model: ‘Welcoming refugees is a way forwards for a European countryside caught up in the crisis of rural depopulation,’ writes Olav Fumarola Unsgaard in a reportage connecting the small city of Riace in southern Italy with the Swedish municipality of Lessebo. 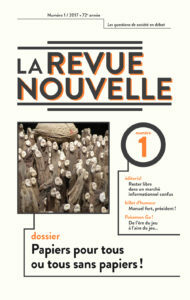 In La Revue nouvelle (Belgium), Noureddine Arbane and Andrew Crosby observe two problematic trends in ‘managed immigration’, in which ‘foreigners are a commodity for the state’ used for labour during periods of growth, only to be expelled during recession. Family reunification: ‘The right to a family life’, enshrined in Article 8 of the European Convention on Human Rights, is increasingly questioned in politics and the media. Family reunification was once encouraged to stabilize the foreign workforce, however now is seen as a burden, write Carla Mascia and Laura Odasso. Also: Oliviero Aseglio looks at the situation of LGBT refugees; Renaud Maes discusses Pokémon Go; and Luc Delfosse takes a humorous look at Manuel Valls’s doomed presidential bid in France. 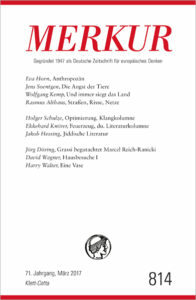 Berlin: Ross Beveridge and Matthias Naumann look at Berlin – a city ‘where the left have often been strong’ but also in which ‘the unfolding of globalization and urban neoliberal policy is intense’. Social movements around public space and infrastructure in the 2000s have resulted, among other things, in the re-municipalization of the Berlin Water Company and the stop on development of the site of the former airport at Tempelhof. However, gentrification, touristification and the privatization of public goods also continues. With broad political support for some form of public ownership, the key challenge for social movements is to offer ‘viable alternatives’ to traditional models. A ‘narrative of political change rooted in, but reaching beyond, the everyday might offer the best way of achieving broader public support’. Also: A roundtable on the political implications of Brexit and on potential political responses; Colin Leys on the neoliberal conception of health provision; and Gideon Calder on the family and ‘the spell of social mobility’. It was officially declared on 29 August 2016 at the International Geological Congress in Cape Town: we are living in a new geological epoch, the Anthropocene. From the plutonium fallout of atomic tests to the increased use of fossil fuels and substances such as plastic and aluminium, human activities have changed the face of the Earth on a planetary scale from at least the 1950s onwards. Merkur offers some utopian responses to this age of ecological crisis. 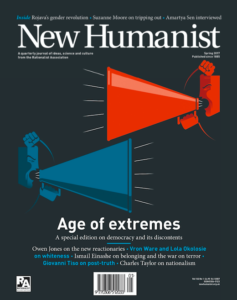 Eva Horn argues for a radicalized concept of sustainability, in which ‘the human per se has to be reimagined and the social is not limited exclusively to humans’. This may show how to reconcile ‘ecological aims with “more acute” problems such as poverty, social and economic justice and much more besides’. Humans and other animals: Philosopher Jens Soentgen traces the evolution of a ‘geography of fear’ that has emerged between animals and humans, particularly since the introduction of firearms and other increasingly deadly weapons into hunting practices. However, there is nothing inevitable about human technologies destroying nature. Roughly a century after the 1864 invention of a harpoon that could kill a blue whale, scientists using an ultrasonic microphone discovered whale songs. It is not too late for reconciliation between humans and wild animals, Soentgen insists. Death of the blogger? Ekkehard Knörer considers the transient nature of the digital revolution in an age where Facebook and Twitter have eclipsed a once thriving blogosphere. At the same time, he wonders whether there is a connection between the emphasis on personal experience in social media and the popularity of autobiographical literary works. 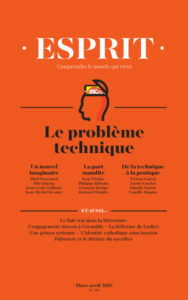 ‘How can we say no when the machines have won?’ asks Jean-Michel Besnier in an issue of Esprit on ‘the problem of technology’. The human power ‘to refuse to accept that things are simply the way they are’ is what distinguishes us from other animals, he claims. A world dominated by machines would eliminate this capacity and usher in an era of inhumanity. For Besnier, the prospect of humans merging with machines – ‘seen as a glorious future by transhumanists’ – is a horrifying prospect. Technology as saviour? For all humanity’s progress, we are entering an age not of abundance, but of penury, warns Philippe Bihouix. Historically, humans have always used technology to combat poverty, with polymerization ultimately solving a post-industrial over-reliance on raw materials. And yet, the costs of our headlong pursuit of progress have become apparent in pollution and environmental destruction, which thanks to cheap transport is often out of sight, out of mind. Also: Interviews with Yannick Haenel and Laurent Mauvignier on ‘The taste for realism in the contemporary French novel’; Ramin Jahanbegloo on Iran after Rafsanjani; and Rose Réjouis with a provocative parable of integration. Things. They are all around us, yet we find it difficult to understand them. What do they do? How do they acquire meaning? Anthropologists, historians, literary scholars and sociologists have been rediscovering things recently. Thing theory, actor-network theory, the new materialism. Good things have many names. Vikerkaar opens up the black box of things and inspects the contents. Thing theory: Archeologist Bjørnar Olsen argues that overeager social constructivists have forgotten the durability of things, their roughness, their inelasticity, qualities that ‘render social life, memory, misery and welfare possible’. 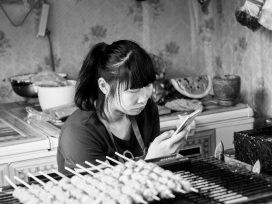 And anthropologist Daniel Miller rejects a neat separation of the physical and the digital and, looking at Chinese factory workers, shows how virtual migration can be more transformative than migration in physical space. 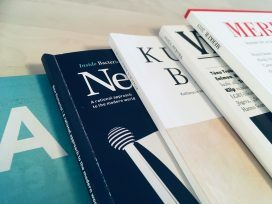 (Post-)socialist things: Ethnologists Kirsti Jõesalu and Raili Nugin argue that Soviet-era things have become objects of nostalgia that evoke critique of mass consumption. People born in the 1970s fondly recall objects such as vinyl records, candy papers and bananas because of the social value they held as things. In the Soviet period, things were rare, and therefore valuable; today, things are consumed and discarded. Similarly, Francisco Martinez writes on the practice of repair as a way of healing the wounds of post-socialist transition and of building affective bonds where the market forces people to think of each other only as rational and expendable actors. 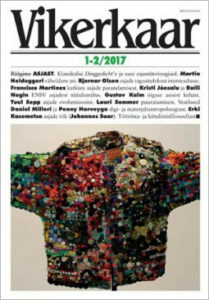 Things as literature: From the German Dinggedicht or ‘thing poem’ to mythologies inspired by Roland Barthes, Estonian writers and poets take a stab at thing-inspired literature, covering things as different as Christmas hats, meat jelly, morning gowns and matchboxes.